For me, two countries in Africa are supplying vocal vibrations that shake my speakers: South Africa and Mali. I tussle with myself favoring one over the other from time to time. I guess I just have to celebrate both. Mali seems to me to continually be a site of enchantment, especially female voice after female voice: most recently Rokia Traore. And now, dancing in the wings is Fatoumata Diawara. 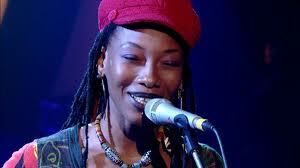 The wonder is that Fatoumata is currently poised to become an internationally celebrated vocalist. I have heard snippets from her debut album, my ears confirm my initial impressions: she’s got it and soon all will know. Before I delineate what the “it” that I think she has is, a bit more interesting background. She is Mali through and through but she was born of Malian parents in Ivory Coast in 1982 and spent her early childhood there. Her father was mayor of their neighborhood district in Abidjan, the capital of the Ivory Coast. From a very early age, he encouraged her creative expressions, except the manifestation was as a dancer not a singer. 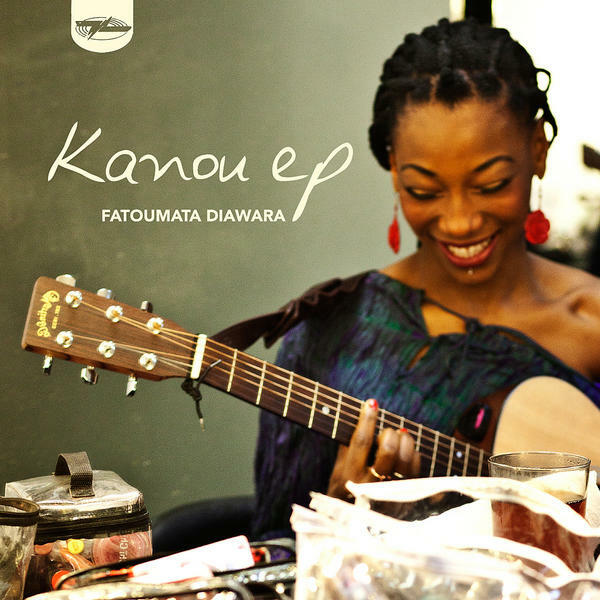 Fatoumata was sent to Bamako, Mali to live with an aunt who not only was a vocalist but who also predicted that Fatoumata would inherit her voice and become a major vocalist. As a teenager she came to the attention of major producers in the arts world. After starring in movies, she was offered a major gig in France but was forced by her parents to turn it down and to publicly announce a retirement from performing, except Fatoumata did the unthinkable: she ran away to Paris. For many of us in the West, leaving home is, well, it’s what teenagers often do but in Mali not only was it a huge undertaking emotionally but as a young unmarried woman she was breaking both customs and laws. Fatoumata currently lives in Paris. She has literally toured the world as a dancer and actor in stage musicals. She was inspired, encouraged and championed by Rokia Traore. Plus, Fatoumata is deeply aware that she is more than simply an attractive entertainer. “In Mali and other parts of Africa, it’s difficult to explain what you feel about society and issues like FGM or arranged marriage. There are many women who tried to change the way things were and had huge problems. To change female circumcision is impossible. No one talks about it and that’s why I don’t go to Mali many times. If I want to change something, I have to do it differently to the way the ladies who tried and didn’t manage to change anything did it. I thought to myself, if I have to sing about these kinds of subjects, I should keep my smile, find a sweet melody and try to touch people differently, not like war. We must not give up. We have to continue because only women can change things. If other ladies have given up, I don’t have to give up because I don’t live in Mali. I can take power in my work and try again. I try to sing a sweet melody especially when it is a difficult subject and it’s already conquering because in Mali, my generation is touched by my music, the feeling and new things I bring to the subjects. They want me to come back. I would like to change the way things are but the first thing I want to do is give love. When I go on stage, I’m not going to say you have to protest. I’m a woman and women have a very different sensibility to men. I have to find a sweet melody and have lots of love, so that when I talk to the audience, it’s like a mother, not like a president or militant. My first aim is to always share love. With love we can change anything. Of course, I agree with her sentiments but it is her music that seals the deal for me. She has traveled the world, taught herself guitar, figured out how to musically write out her ideas and aspirations, and undertaken the task of influencing people through music. The music she creates is astonishing in that like most Afropolitans - people of African descent and/or heritage who are urbanized, cultural hybrids - Fatoumata mixes and mashes myriad cultural influences and styles. This Mixtape opens with two tracks from her Kanou EP, and follows with six excerpts from live performances of varying provenance. Two things to notice: 1. the music is expertly arranged with an accomplished and simpatico band. 2. She has incredible energy and really, really knows how to work a groove. I believe the arranging reflects the influence of her theatre background and the grooves reflect her dance background. It’s a total package presented by a strong voice, with heavy lyrics mated to entrancing timbres and textures. 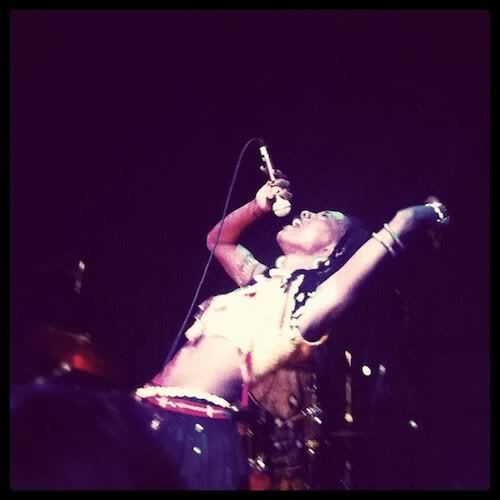 Enjoy the next star rising: Fatoumata Diawara!